I’ve been told to consume probiotics after taking antibiotics. What is the best kind of probiotics, should I take them while I am taking the antibiotics, and how do I know if the bacteria I have purchased are really alive? – B.P. 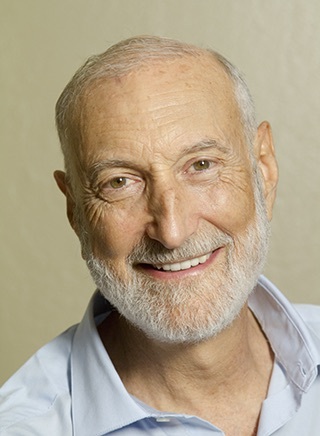 Dr. Michael Klaper answers questions on a wide variety of health and nutrition-related subjects. To submit a question for inclusion here, send e-mail to: answers@DoctorKlaper.com. Keeping the resident population of bacteria and other microbes in our intestinal tract balanced and beneficial is essential for good health, especially during and after taking a course of antibiotics. We are learning that our population of gut bacteria interacts with our body in many remarkable ways, from stimulating our immune system to producing neurotransmitter molecules that ride the bloodstream up to the brain and influence our very thoughts and moods! A healthy population of normal gut microbes helps to prevent unfriendly bacteria and yeast from injuring the intestinal wall, which can result in increased intestinal permeability – the so-called “leaky-gut syndrome.” This can, in turn, lead to severe inflammation and autoimmune diseases that can damage vital organs and even threaten our lives. The bacteria in our intestines are originally common soil bacteria. How do they get into our guts? Animals who live earth-connected lives, like grazing deer and antelope, are constantly refreshing their intestinal flora as they eat and drink. They pull up clumps of grass with soil particles clinging to the roots and ingest the microbes when they swallow. When they drink from a nearby stream, they, again, ingest bacteria in the water that wash into the stream from the soils with every rainstorm. They, in turn, excrete the microbes back into the environment. So, a river of soil microbes moves through their digestive tracts and back to the soils – they are part of the flowing energies of the living Earth. Humans, too, used to live Earth-connected lives, foraging for roots and tubers, digging them up covered with soil bacteria and usually eating them unwashed. We, too, drank from streams and rivers like other animals. Thus, we constantly refreshed our soil-born gut bacteria population, just like the deer and antelope. Our ancestors never swallowed probiotic capsules – Nature provided it free of charge. Drinking water treated with chlorine. (I am not against chlorinating the water supply – I do not want to be treating cases of typhoid fever or cholera. But every drink of tap water contains chlorine – specifically added to kill bacteria! Our produce fruits and vegetables are washed in chlorinated water. Not “gut flora friendly,” to say the least! Alcohol – the glass of wine, that mug of beer may taste good, but, think about it: in the hospital, we dip our surgical instruments into alcohol to kill bacteria – and, yet, people drink it as a recreational beverage! Alcohol in the concentrations that people commonly drink kills every cell – plant or animal – that it touches. Herbicides on plants foods – molecules intentionally designed to chemically injure plant cells. Most of the microbes in your gut share the same cell machinery as true plants – cell walls, chromosomes, etc. So, herbicides on foods can damage microbe balance, too. Antibiotics from doctor’s prescriptions – often requested by the patient and dispensed reluctantly by the doctor for viral infections not affected by antibiotics. Teas – both black and herbal. The peppermint plant, the chamomile plant and their kin are not making those lovely oils with your cup of herbal tea in mind. Those are anti-bacterial oils made to kill bacteria before they invade the leaves and stems of the plant. I am not saying an occasional cup may not be soothing and have beneficial properties, but consumed in large amounts, they can be one more element in the daily assault on our healthy, stable, beneficial, multi-trillion organism population of gut microbes. As the normal inhabitants are killed off by this modern-day onslaught, unfriendly yeast, bacteria and other microbes can set up housekeeping along and within the intestinal wall and then proceed to damage that intestinal barrier, leading to the “leaky gut” syndrome and all the inflammatory conditions that arise from that condition. Consequently, if you subject your micro-biome to any or all of the above injurious agents on a regular basis, or if you have recently taken a course of prescribed antibiotics, ingestion of a good probiotic may well be a wise idea for you to prevent diarrhea, yeast overgrowth and a host of other problems. 6. eliminating chlorine from your water via distillation, evaporation/condensation, or effective filtering, like reverse osmosis. Chlorine is volatile – letting a pitcher of tap water stand overnight will allow much of the chlorine to evaporate by morning. Lactobacillus plantarum and L. casei have anti-inflammatory properties, making them especially valuable for people with inflammatory bowel disease, like Crohn’s disease or ulcerative colitis. Lactobacilis acidophilus is valuable for rebalancing the bowel after taking antibiotics, and for thwarting recurring urinary infections in women. Sacchromyces boulardii, a beneficial member of the yeast family, is effective in stopping diarrhea, either from antibiotics, radiation to the pelvis, or “travelers’ diarrhea.” It can be used as a preventative if one is traveling to a destination where contracting traveler’s diarrhea is a strong possibility, in which case it can be started 2 to 3 days before departure and taken each day while traveling. The beneficial organisms must be put into the gut in substantial numbers. A good probiotic product has at least 5 BILLION organisms per dose. (This is often expressed as “colony forming units, or “cfu’s.) For severe derangements of the intestinal flora, this dose may need to far greater, up to 100 billion cfu’s per dose. This is one reason why I think eating yogurt as a probiotic is pointless. Standard, commercial yogurt is pasteurized to kill bacteria before it is sold – so most brands are useless as a probiotic source. The “cultured” or “bacteria-fortified” yogurt products usually have a few million organisms, at best. Thus, you would need to consume dozens of tubs of yogurt to equal the bacterial numbers in a good probiotic. Why consume all the dairy protein, gelatin, and sugar inherent in most of these products – substances known to make many medical conditions worse – when all you really want are the beneficial organisms that you can purchase purely in a good probiotic product? Very importantly, it is very important to be sure that the probiotic product you are paying for and ingesting really contains live, beneficial bacteria. That is, the organisms may have been quite viable when they left the factory, but if they were stored in an unrefrigerated warehouse and/or shipped on an unrefrigerated truck, by the time they get to the shelf of your neighborhood health food store, it may be dead, white powder. So, how do you tell? If your probiotic comes in tablets or “enteric pearls” you must crush them up into a powder to assure adequate contact with the milk. Do not just drop an intact tablet into the bowl. Place the tablet into a plastic bag or folded paper and, using a hammer wrapped in a thin towel or the bottom of a heavy drinking glass, pound the tablet into a powder, and then add it to the milk. Allow both bowls to sit out at room temperature overnight. When you examine the bowls in the morning, the milky contents should not look the same. Since Lactobacillus acidophilus is the bacteria strain that curdles milk, there should be signs of bacterial activity in the bowl containing the probiotic. You should see either (a) chunks of curdled milk, or (b) a film of yogurt, or (c) bubbles of carbon dioxide, and if you put your nose near the milk, it should smell like sour milk. If both bowls look just the same, let them sit out on the counter one more night. The next morning, when you pour the contents of both bowls down the sink, if the physical characteristics of the white liquids appear to be the same, you have non-viable product and should get a fresh supply, a different brand – or your money back. Your probiotic product (except for pure Sacchromyces) should be able to curdle milk. I believe probiotics are best consumed one hour before meals or two hours before bed – times when the acid in the stomach is at lowest ebb. Why? You want to have as many live bacteria as possible pass through the stomach into the small intestine as possible. When you eat a meal, your stomach fills up with potent hydrochloric acid, which would kill many of the beneficial organisms. So, to “sneak” the bacteria through the acid vat of your stomach, it is wise to ingest the probiotic an hour prior to eating, before the stomach fills up with acid – or well after it has emptied. Since modern life – with its steady stream of chlorinated drinking water, alcoholic beverages, antibiotic-laced foods, etc. – seems to be an intensive assault on our normal intestinal flora, one could make the case that everyone could probably benefit from a “freshening up” of their intestinal bacteria with a brief one to two-week course of acidophilus, several times per year, or, perhaps one weekend each month. Certainly, after a course of medically-prescribed antibiotic therapy, the healthy balance of bacteria should be re-established in the intestine by consuming a probiotic preparation for two to four weeks after taking the last antibiotic dose. It is OK (and probably wise) to take the probiotic while you are taking the antibiotic, just be sure to space them out in time – that is, if you take the antibiotic morning and with dinner, take the probiotic mid-day (an hour before lunch) or an hour before retiring. Many probiotics are better able to retain their potency when kept in the refrigerator, though not all brands require this. If there is any question about the potency of the product you have purchased – test it! Try to consume the entire product within a few weeks of purchase, so it does not lose its potency in the refrigerator or on the shelf. Used wisely, probiotics can be a useful tool in keeping our body, and thus, our health in optimal balance. To schedule a private consultation by phone or video, please call the TrueNorth Health Center in Santa Rosa, California (about one hour north of San Francisco). The Front Desk at TrueNorth can be reached from 9a – 5p Monday through Saturday, and 12:30p – 4p on Sundays. Phone: 1-707-586-5555. This entry was posted in Recipes and tagged Dairy free, DEmentia, Diabetes, Dr Klaper, eat to live, eating for health, food, Gluten Free, Health, Healthy aging, Healthy Lifestyle, No Dairy, No oil, Plant-based, Probiotics, vegan, vegetarian, weight loss, Whole Food, Whole Food Plant based Diet. Bookmark the permalink.